When will be The Haunted next episode air date? Is The Haunted renewed or cancelled? Where to countdown The Haunted air dates? Is The Haunted worth watching? "The Haunted" is a chilling and frightening show featuring true horror stories about animals, humans and the paranormal. Each program features one or two stories recounted by the people who actually experienced them. Cinematic recreations serve to heighten the drama caused by animal and human contact with the unexplainable and to bring the witnesses' testimonies to life. 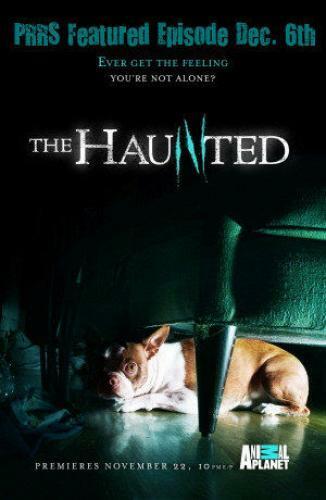 The Haunted originally aired on the Animal Planet from 22 November 2009 to 13 May 2011 now airing with all-new episodes on Destination America. The Haunted next episode air date provides TVMaze for you. EpisoDate.com is your TV show guide to Countdown The Haunted Episode Air Dates and to stay in touch with The Haunted next episode Air Date and your others favorite TV Shows. Add the shows you like to a "Watchlist" and let the site take it from there.